Joanna Bogle (Auntie Joanna Writes) has been made a Dame of St. Gregory in one of the last acts of Pope Benedict XVI. 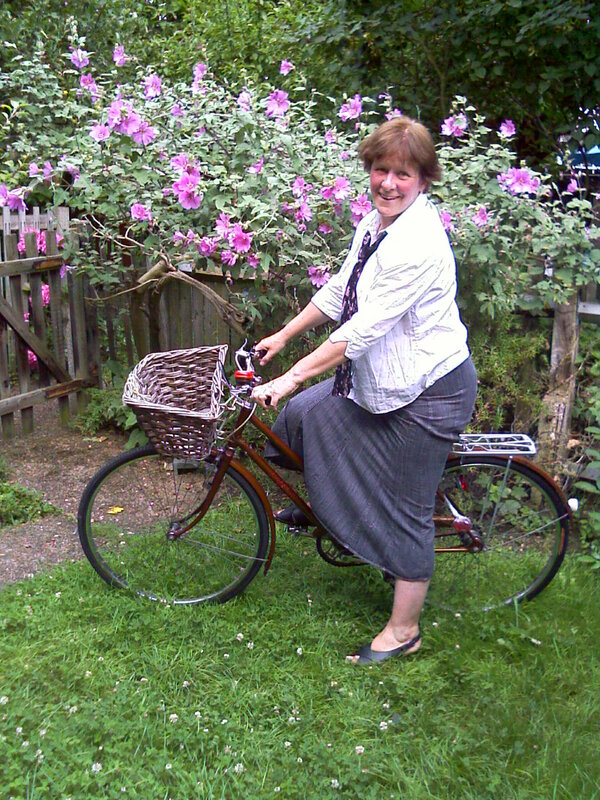 Many, many congratulations are in order - it is a well-deserved honour, as Joanna has been an indefatigable defender of the Faith for many years. I may have mentioned before that, being of a scientific inclination, I used to tend towards a purely rationalistic approach to the Faith. I say rationalistic rather than rational because I now know that such an approach is anything but rational. Instead it is the attempt to reduce everything to purely human levels, and explain away anything which even remotely smacks of the supernatural. After all, it was fashionable to be sceptical about the claim that St. Peter was buried beneath the High Altar at St. Peter's Basilica in Rome, and to explain it away as a sort of legend, a story to encourage us, concocted in those oh-so-credulous medieval times. Now, however, science has confirmed that there are bones under St. Peter's dating from the first century, and since they are wrapped in gold cloth with the inscription "Here lies Peter" (I'm paraphrasing, but you get the idea) it's pretty probable that these are the bones of the fisherman himself. A similar scenario has played itself out in the same way at the Basilica of St. Paul-outside-the-Walls... the bones are almost certainly those of, ummm... St. Paul. What a shocker. The information carefully passed down over 2000 years or so (not that long, really) turns out to be true. Who would have guessed it? But, as Fr. Blake so rightly points out, the dragon can be seen as an image of the spiritual life, of the struggle that goes on within all of us until the beast is tamed and brought into the presence of God. Considered in this light, the dragon is a very real one. 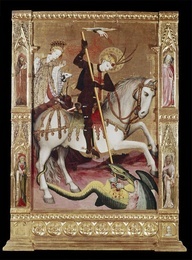 I'm delighted that St. George appears to be making something of a comeback, rescued from the list of saints who were declared only legendary or mythical and downgraded in the Calendar. I shall be hearing a Missa Cantata in honour of St. George in about half an hour (the schola is running through the propers as I type) and promise to say a prayer for all my blog readers.